Bullies, Bravery, and Beginning School—Nothing to Fear Here! Win Books, Cash, and More! We’ve all seen it—or lived it: The sobbing child demonstrating unbelievable finger strength as she clings to her mother’s clothing to avoid going into a classroom. Or the timid child crumbling at the teasing of bullies. Or the outgoing child who strategizes to hide that he’s afraid of something. Fear not! I’ve got character-building books, cash prizes, free resources, and more to engage your students and help you! 11:59 pm EDT Sunday, October 4, 2015, to tell me what are your favorites when you click on the contests and freebies below. One lucky teacher will win these three books. I have another opportunity for you to win terrific reads and get free Common Core–aligned resources. Load up in the Best in Class 2015 Book Giveaway! Fifty teachers—yep, 50!—wi ll each win 20 copies of an exciting new title: Rules for Stealing Stars; The Astounding Broccoli Boy; Connect the Stars; Unnaturals: The Battle Begins; and Curiosity House: The Shrunken Head. Plus you can download free reading and writing activities for the books. Get it all here. Get your writers and artists ready. 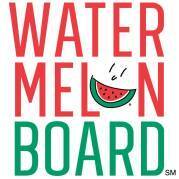 Watermelon, Wondermelon is a sweet opportunity to get their creative juices flowing! In student slogan-writing and art contests, each grand-prize winner will get $100 for himself, $100 for his teacher, and $100 for his class to hold a watermelon party. Then you have a chance to be the lucky teacher to win $500. Download free resources—contest guides, a hands-on investigation for grades K–2 and a research project for grades 3–5—and enter here. 1 to 2 pm ET on Thursday, October 15. Register here! Don’t forget; submit a comment today for your chance to win the books! I really liked the Class Acts books. I am intrigued by Broccoli Boy especially. I like “Not This Bear” to fit in with our pre-k class and help the children with the beginning of school for them. All 3 books would be great for our small library. All 3 books sound wonderful for younger students. I love the giveaway books. They would be fantastic for my classroom of special needs learners. The virtual field trip is awesome! I’m thinking about signing up for that. The books would be perfect for my class. I liked the class act giveaway the best. The books seem like they would be fun and engaging for my students. I also like that you get a whole class set. I would love to take my class on a virtual field trip. A virtual field trip sounds appealing! I love the class act giveaway. I think my students would love the reading and writing activities they are giving away. I would love those books too!